Impact tough bits engineered for high torque. Forged tip reduces breakage. Torsion zone absorbs torque peaks to reduce stress. Hardened core increases bit strength, reduces fractures. Engineered to meet ISO standards. 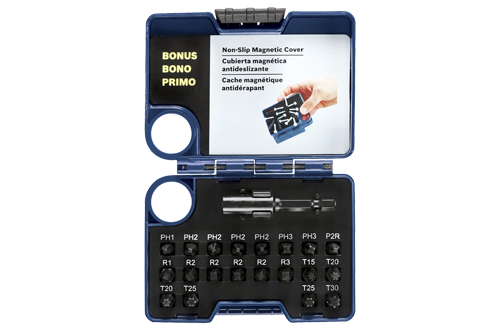 Click the button below to add the Bosch - Impact Tough 21pc Screwdriving Set - SBID21 to your wish list.